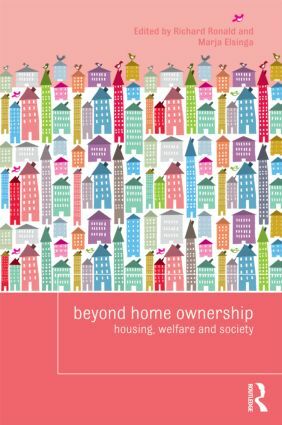 In context of ongoing transformations in housing markets and socioeconomic conditions, this book focuses on past, current and future roles of home ownership in social policies and welfare practices. It considers owner-occupied housing in terms of diverse meanings and manifestations, but in particular the part played by housing tenure in the political, socioeconomic and demographic changes that have characterized the pre- and post-crisis era. The intensified promotion of home ownership in recent decades helped stimulate an increasing orientation towards the private consumption of housing, not only as a home, but also an asset – or possibly speculative vehicle – that enhances household economic capacity and can be transferred to children or other family, or even exchanged for other goods. The latest global financial crisis, however, made it clear that owner-occupied housing markets and mortgage sectors have become deeply embedded in networks of socioeconomic interdependency and risk. This collection engages with numerous debates on housing and society in a range of developed societies from North America to Asia-Pacific to North, South, East and West Europe. Interdisciplinary contributors draw upon diverse empirical data to explore how housing and home ownership has become so embedded in polity, economy and household welfare conditions in various social and cultural contexts. Another concern is what lies beyond home ownership considering the integration of housing systems with economic growth and social stability appears to be unravelling. This volume speaks to public debates concerning the future of housing markets, policy and tenure, providing deep and provocative insights for academics, students and professionals alike. Home ownership – continuing or fading dream?